November 04, 2013, 2:29 p.m.
Labour’s plan to freeze energy prices for 20 months has re-ignited the debate over the role of the government in markets, with Conservatives arguing intervention is a ‘con’ while Labour claim the state should ‘reset’ the market. Shadow transport secretary Mary Creagh has even suggested Labour are open to re-nationalising train services. 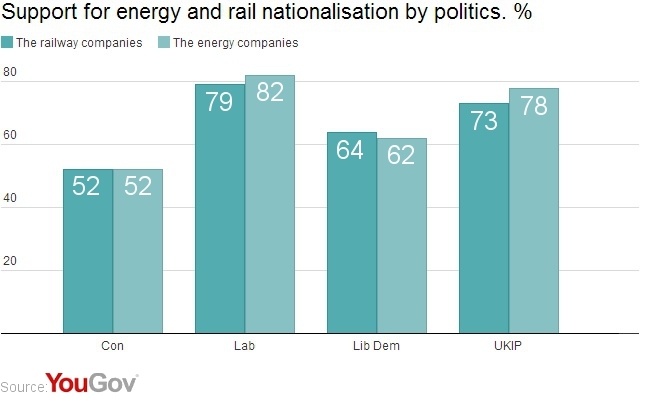 However, YouGov research for the Centre for Labour and Social Studies finds voters of all politics united in their support for nationalisation of energy and rail. 68% of the public say the energy companies should be run in the public sector, while only 21% say they should remain in private hands. 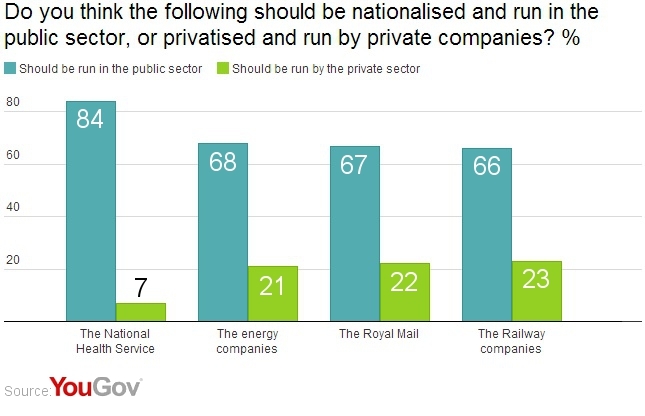 66% support nationalising the railway companies while 23% think they should be run privately. The British people also tend strongly to prefer a publicly-run National Health Service (as it is now) and a publicly-run Royal Mail (as it was until this year). Supporters of nationalising the energy companies include 52% of Conservative voters, and 74% of UKIP voters. And again, 52% of Conservatives are pro-nationalisation of the rail companies, as are 72% of UKIP supporters. Though recent Labour and Conservative governments have opened some NHS services to privatisation, 84% of the public say the health service should be run in the public sector. Only 13% of Conservative voters say the NHS should be run privately. More divisive is the recently privatised Royal Mail, however. While the public support it being run publically by 67%-22%, Conservatives divide almost evenly – by 48%-43%. Views are also less clear on whether the government should have the power to control prices of more traditionally private markets. 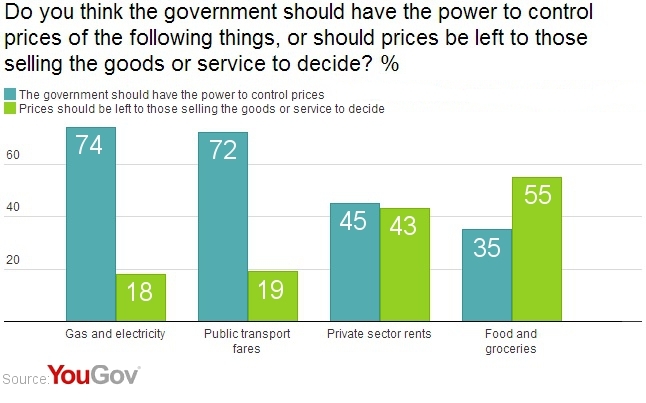 The public split 45%-43% in favour of government having the power to control private sector rents, and are opposed to government having the power to control food prices by 55%-35%. Rail prices have been rising above inflation at an increasing rate since 2004, and the TUC claim average fares have risen nearly three times faster than average incomes since 2008. 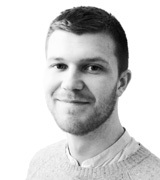 Labour nationalised the railways in 1948, and they were returned to the private sector by John Major in 1993. Tony Blair dropped plans to re-nationalise in 1997, but Labour will be launching a review of railway policy within a year.